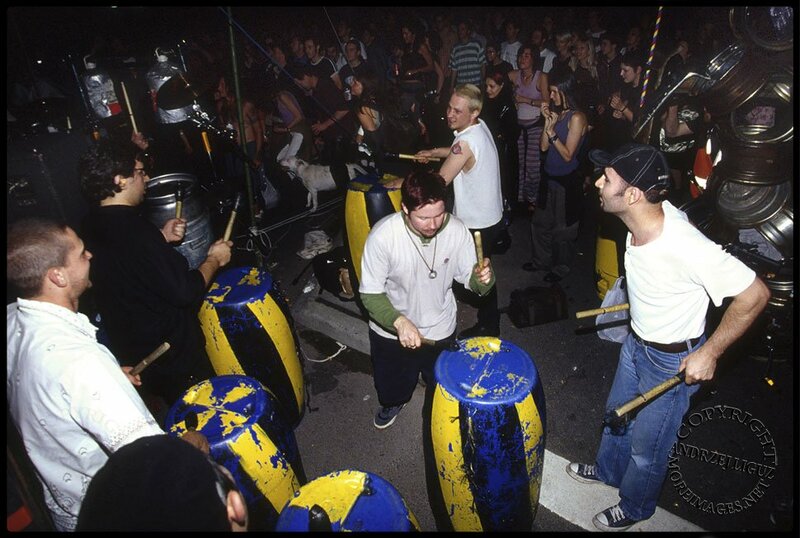 Reclaim The Streets Guerilla Event, King St., Newtown, Sydney, 1998. 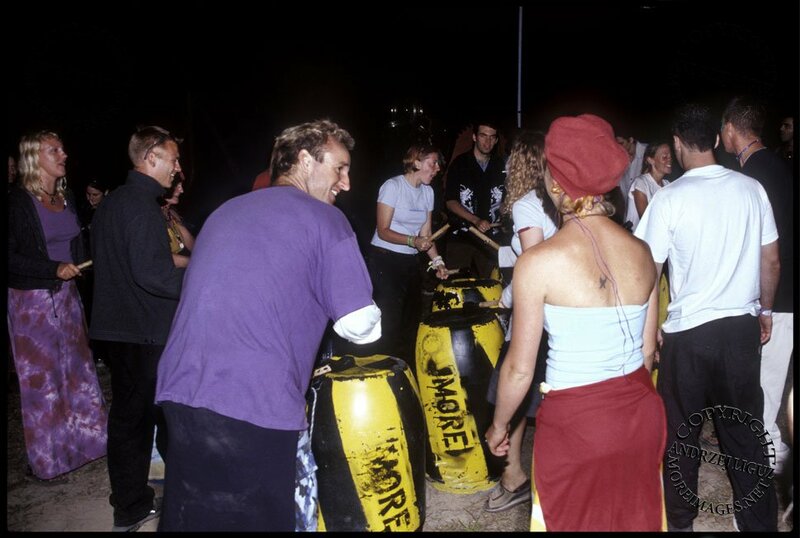 I conceived the MORE Drums as an interactive installation for public places using plastic industrial drums with wooden doweling for drumsticks. Here I am at a Reclaim The Streets event playing on the More Drums. Reclaim The Streets Guerilla Event, King St., Newtown, Sydney, 1998. 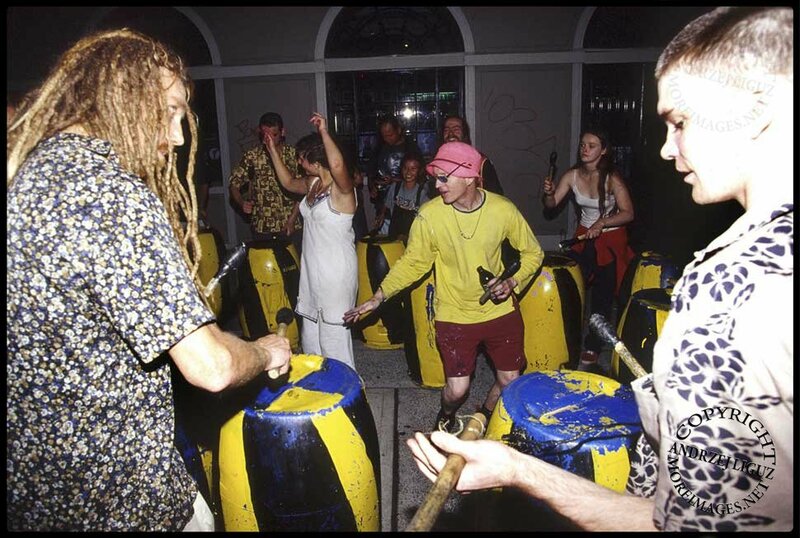 I conceived the MORE Drums as an interactive installation for public places using plastic industrial drums with wooden doweling for drumsticks. 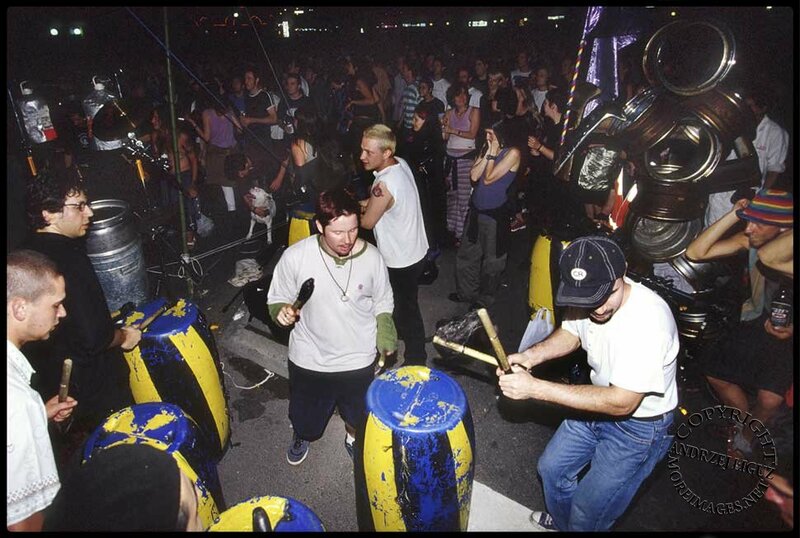 Here I am at a Reclaim The Streets event playing on the More Drums. 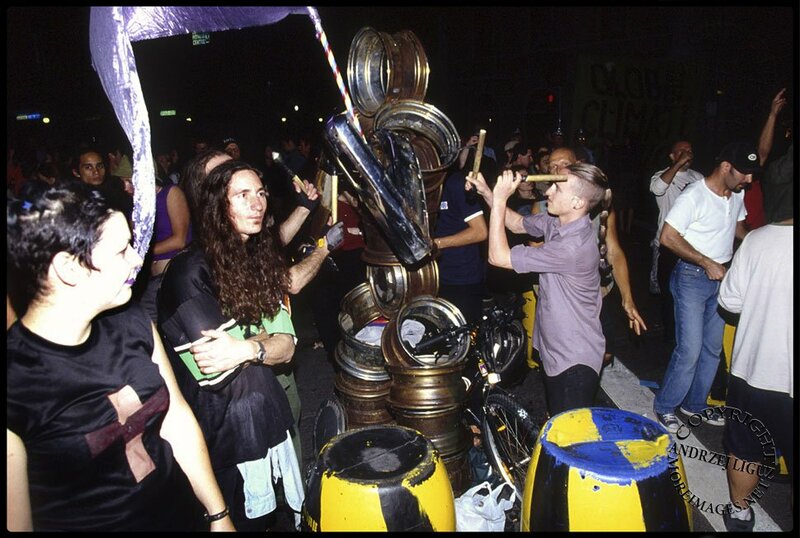 I worked on several events with Reclaim The Streets between 1997 and 2000 but did not document them all. Coca Cola Redfest, Sydney, 2000. The Coca Cola Redfest was an ancillary event celebrating the opening of the 2000 Sydney Olympic Games. They approached me and asked to to install the MORE Drums for their event. 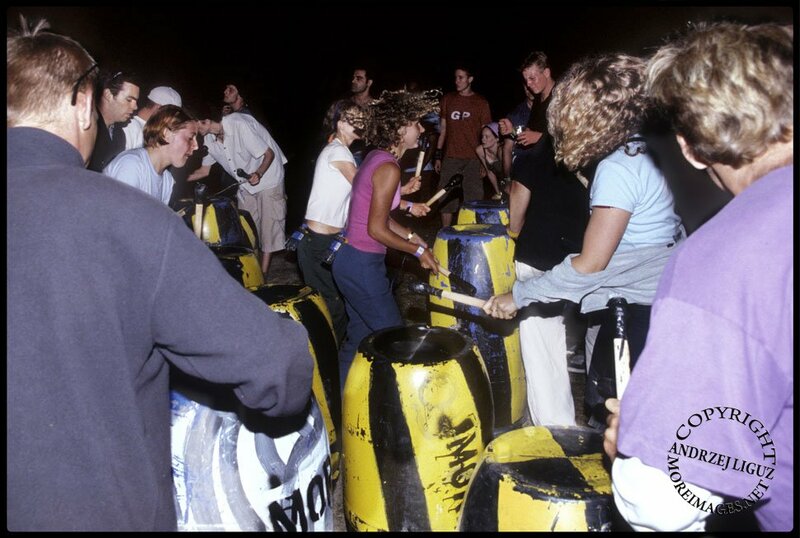 Happy Valley Dance Party, NSW 2000. Partygoers enjoying the drums.